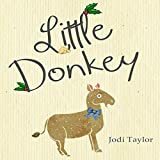 A few months ago I posted a roundup of 10 Free Audiobooks from Audible.com available through Amazon, shortly followed up by another 10 Free Audiobooks a few weeks later. Those titles are still available for free, so don’t forget to check those earlier posts for more freebies. For this post let’s do another set of 10 free audiobooks. These ones aren’t as popular as the others but for the price they are definitely worth checking out. Also don’t forget the free Whispersync for Voice audiobook for October. It’s The Strange Case of Dr. Jekyll & Mr. Hyde. You need an Audible account to get these free audiobooks but you don’t need an active subscription. Audible is owned by Amazon so these are all available through Amazon’s website as well as Audible’s website. 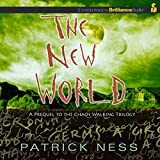 Here’s the page where you can find more free audiobooks at Amazon. One day, not long from now, it becomes almost impossible to murder anyone – 999 times out of a thousand, anyone who is intentionally killed comes back. How? We don’t know. But it changes everything: war, crime, daily life. Tony Valdez is a Dispatcher – a licensed, bonded professional whose job is to humanely dispatch those whose circumstances put them in death’s crosshairs, so they can have a second chance to avoid the reaper. But when a fellow Dispatcher and former friend is apparently kidnapped, Tony learns that there are some things that are worse than death and that some people are ready to do almost anything to avenge a supposed wrong. It’s a race against time for Valdez to find his friend before it’s too late…before not even a Dispatcher can save him. 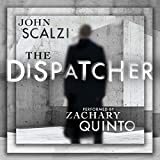 The Dispatcher is free until November 2, 2016. It’s Christmas, and Jenny Checkland is beset with problems. The vicar, who really should know better, has asked to borrow Marilyn the donkey for the nativity play, thereby unleashing chaos on the already chaos-laden Frogmorton Farm. Will Marilyn survive her bath? Will anyone survive Marilyn’s bath? Robbed of her role as the Virgin Mary, what revenge is the angel Gabriel plotting? Why is that sheep so fat? Will Charlie ever get to say his one line? Can Marilyn be prevented from eating the baby Jesus? Where is Thomas, who promised he would be there? And worst of all – will Russell, lost on the moor in a blizzard, make it back in time for the birth of his first child? Or even at all? 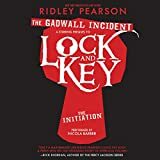 In The Gadwall Incident, listeners get a glimpse into James’ life a mere 24 hours before the tipping point – before life as he knows it changes irrevocably and his childhood slips into the shadows. Listeners will come to know the dangers that surround the Moriartys before James and Moria are sent off to the hallowed halls of Baskerville Academy, where they first meet the insufferable, inexhaustible Sherlock Holmes. It’s a tale full of intrigue and false starts and daring getaways, one that will leave listeners desperate to know what’s next. 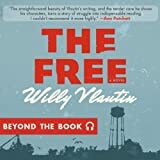 In his novel The Free, award-winning author Willy Vlautin captures the experiences of three memorable characters who are looking for meaning in distressing times. Vlautin addresses issues that transform ordinary people’s lives – the cost of healthcare, the lack of economic opportunity, and the devastating scars of war – and celebrates the resiliency of the human heart. 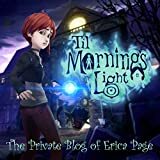 Erica Page, the protagonist of Amazon and WayForward’s upcoming game Til Morning’s Light, is already sick of the boring New England town that her family now calls home. There’s nothing to do in beige Leisterville except browse the Internet, update her blog, and investigate “supernatural phenomena” with her weird new friend Angie. However, when their research yields more-than-convincing results and tragedy strikes, it’s up to Erica to enter the mysterious mansion on Hamilton Road and discover the truth about her new hometown. A short story for fans of Jodi Picoult and Anita Shreve. 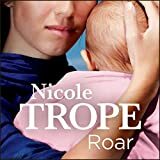 Step into the fragile domestic world of Roar and discover the unforgettable voice of Nicole Trope, best-selling author of The Secrets in Silence, Three Hours Late and The Boy Under the Table. The baby sleeps peacefully, filled with milk and contentment. The man on the bed breathes his way into the darkness, filled with rage. Was there ever really a choice? From the queen of searing family drama and suspense comes a short story about the fierce bonds between mother and child, the things we sacrifice to protect the ones we love and the desperate choices we make when there’s nowhere left to run. A million people, a billion, wanted to be where Mae was at this moment, entering this atrium, 30 feet high and shot through with California light, on her first day working for the only company that really mattered at all. A story from The New York Times Magazine, adapted from The Circle, a new novel by Dave Eggers. 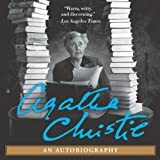 Back in print in an all-new edition is the engaging and illuminating chronicle of the life of the “Queen of Mystery”. Fans of Hercule Poirot and Miss Marple and readers of John Curran’s fascinating biographies Agatha Christie’s Secret Notebooks and Murder in the Making will be spellbound by the compelling, authoritative account of one of the world’s most influential and fascinating novelists, told in her own words and inimitable style – and here in her own voice. These audio excerpts were dictated by Agatha Christie herself. 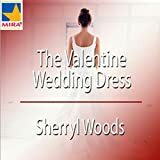 Can a very special wedding dress bring about love on Valentine’s Day? Drawn to an old trunk in the attic, Lara Calhoun is unable to resist finding out what treasure her late, beloved mother had kept hidden away for all these years. Her unexpected discovery soon turns her world upside down and makes her second-guess everything she’s ever believed about her mother and about love. Will it lead her straight into Dave Lafferty’s arms, or make her turn away from the love of a lifetime?